Alessandro Michele was promoted from his Head of Accessories position at Gucci to become the Creative Director for the esteemed brand this January, and we saw a very promising resort line from the brand this past June. That was the designer’s first Cruise line, which was set in New York, and we were able to see the new mindset introduced to the house aesthetic. 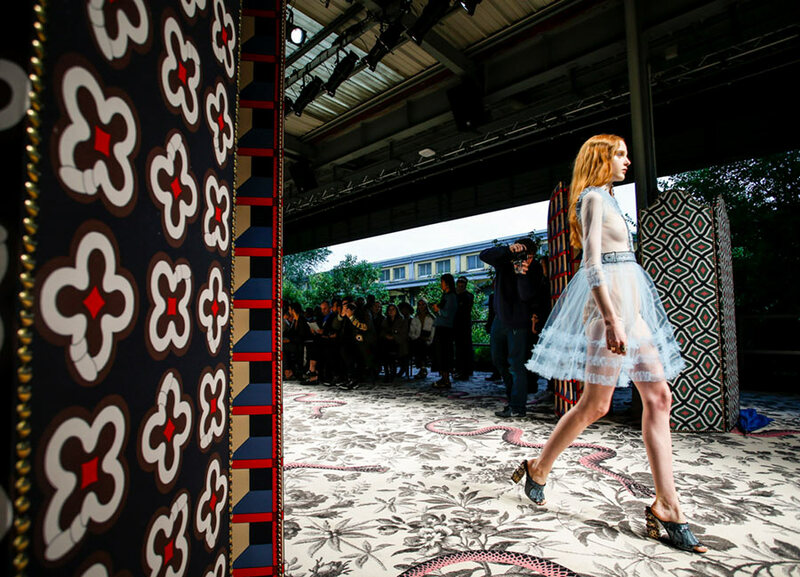 We know we haven’t seen the last of the changes for Gucci, because now it has announced the Italian luxury brand will be travelling to London for its cruise 2017 runway show. This destination is a first for the brand, and one that isn’t really high on the list of sought after locations. While London is easily one of the most fashionable cities in the world, England isn’t generally the first place you would think of for resortwear. Chanel is going to Cuba, and Louis Vuitton to Rio de Janeiro, which are the more expected options for the season, so now all we can do is wonder what the brand has up its sleeves. We do think, however, that with Michele’s bohemian design scheme there will be something great to come of the combination. The new Director seems to have quirky sense of setting when it comes to runway anatomy, since even in Gucci’s Milan showing, Michele changed the venue from the brand’s standard location into a more urban part of the city. With all of these alterations to Gucci’s normal route, it is clear the designer has a love for traveling. Michele pushes this aspect into his work, as with his first Gucci spring/summer 2016 collection, with vintage maps and travel accessories. We should be in for a wild adventure for as long as he is in the pilot seat at Gucci. And maybe a little bit of globetrotting will do some good for the luxury brand. The ever-changing world of fashion requires fresh perspectives from around the world, so Michele’s restless legs could result in a completely new side of Gucci we didn’t know existed. As of now, we don’t have any details about the collection. We know to expect Gucci’s 2017 cruise collection to set up its runway in London. We’ll be waiting for more information about the venue or time, because we’ll want to mark our calendars as soon as possible for what’s likely going to be a truly interesting and spectacular show!